This dependable pool brush features a lightweight aluminum frame that's sturdy and dependable. 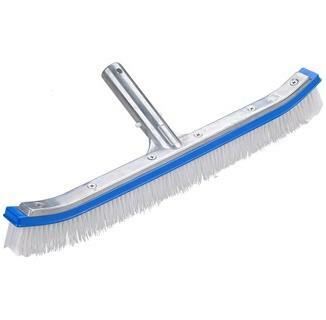 QUALITY NYLON BRISTLES - This brush is constructed with durable nylon strands, creating a formidable wall of super-tough cleaning. WORRY-PROOF - A no-mar finish protects your pool from scratches or dings. Clean out slime and grime without worrying about unsightly damage. 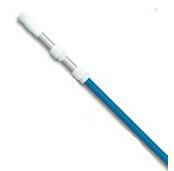 LIGHTWEIGHT DESIGN - Stop struggling with heavy, awkward pool brushes. With a lightweight frame, you'll enjoy easy, effortless cleaning.